1 New Notification: [Someone] added a photo of you. Oh wow. It’s not good. It’s so not good. Whatever the reason — bad angle, unflattering position, weird filter, googley eye, whatever. You HATE it. We’ve all experienced this one way or another. 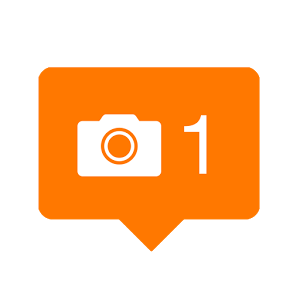 If not after being tagged in a pic on Facebook, Instagram, or a blog, then in a school picture, family portrait, or whole album of vacation pics. It’s a yucky feeling. After you’ve exhausted all your untag/hide-from-timeline options, what comes next? For too many of us, the embarrassment of being captured in a less-than-ideal photo isn’t easily brushed off. In a world where girls learn from childhood to monitor their appearance at all times, and where public identities are carefully crafted online at every waking moment, a picture speaks more words than ever. For some, the sight of a photo she deems unattractive is enough to spark thoughts and reactions directly related to one of our favorite (like the bad kind of favorite) subjects: body shame. You’d think someone who has spent the last decade researching that subject would be immune to the effects of it, right? I should be unflinching and invincible in the face of bad photos of myself, right? Ugh, I wish. Let’s use my own personal example of being captured in a cringe-worthy pic to illustrate what body shame can do to a gal, and how to fight that shame with some healthier options, shall we? I’m not one to hide in a photo. I actively resist the temptation to self-objectify or hold myself back from activities (or photos) because of concern over what I look like while engaging in those activities (or being pictured in those photos). I posed for a group photo and thought nothing of it until Instagram and FB notified me of a newly uploaded photo that had an unanticipated effect: it made me feel sick. Because I hated the way I looked so much. It struck a yucky chord in my brain that told me I was disgusting and everyone on the planet was going to see the documented evidence of how disgusting I was. Sounds asinine, you say? Yeah, definitely. 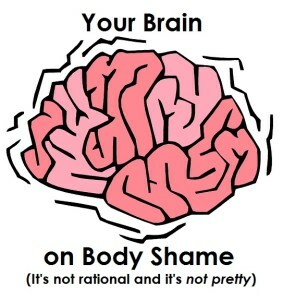 THIS is your brain on body shame: “This photo has captured what I really look like — not what I think I look like. Why didn’t anyone tell me I look so awful? I’m never wearing those clothes again. What made me think I should be in the front of the photo? I’m always going to be in the back now. I can’t wear my hair like that anymore. Is the gym still open so I can go run and burn off the crappy food I ate at the party?” Asinine doesn’t begin to describe it, but the “brain on body shame” doesn’t see the asinine-ness of those thoughts — it takes those thoughts and runs with them. Almost literally. On a treadmill. And not for healthy reasons. But the gym was closed, and thankfully, my education and experience as a body image researcher started to kick in pretty quickly to tell me that what I was experiencing was all too familiar and entirely conquerable. Shame makes us want to HIDE or FIX the thing that doesn’t meet our standards. That showed up immediately for me in depressing thoughts of planning to hide in pictures, throw out clothes, and burn as many calories as I could quickly. And speak of the devil, beginning with puberty, females are TWICE as likely to experience depression as males. 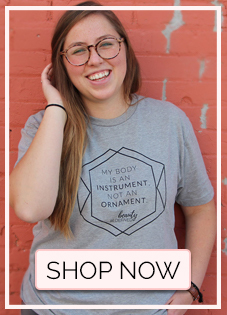 This is directly associated with our objectifying culture, which leads us to evaluate and control our bodies more in terms of our sexual desirability (a.k.a. self-objectification) than our desires, health, or competence. Self-objectification has been linked to way too many negative consequences: disordered eating, plans for cosmetic surgery, diminished mental and athletic performance, anxiety and depression, etc., and these occur among women of all backgrounds. So, in an objectifying culture that teaches us from birth that we ARE our bodies and that our appearances define our worth, how does anyone survive, let alone thrive? Lexie and I dedicated our PhD research to this question and wrote dissertations on the [invigorating, exciting, incredible] results. In independent studies, Lexie and I both identified resilience research as the light at the end of the dark body shame tunnel. 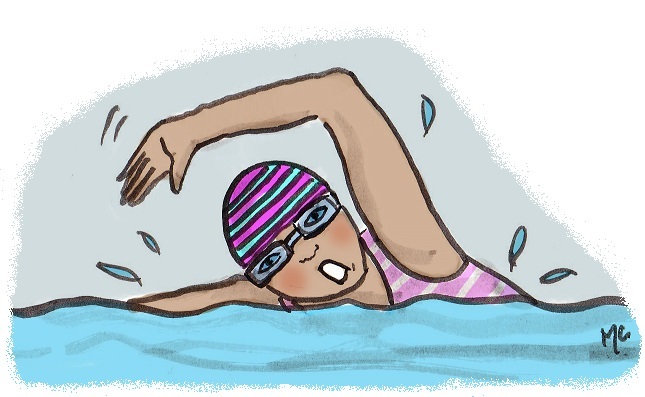 Resilience theory describes opportunities to call upon resilient traits as “disruptions,” which are experiences that shake us out of our comfort zones and allow us to change in positive or negative ways. Disruptions are occurrences that cause us to feel self-doubt, hurt, fear, or loss. They can be anything from unkind words from a stranger, to a pregnancy, an invitation to go swimming, weight loss/gain, or even the super lame inconvenience of being tagged in a photo you can’t stand. Disruptions are big and small and different for everyone, but the emotions you feel from them lead to opportunities to begin the process of changing. This post is about how to make sure the change is for the better. In today’s world, too many of us have settled into a comfort zone that is a whirlwind of body shame and appearance anxiety. It is a “comfort” zone because it feels normal, but it certainly isn’t comfortable for those always hiding and fixing their looks as a response to body shame. We are here to assist you with WAY better options than just taking constant hits to your body image and just absorbing it and going about your lives by fixing and hiding. The first step of resiliency is to identify the disruption. Name it. Shine a light on it. Call it what it is: a crappy, painful opportunity for positive change. Let’s get lovey up in here. Self-compassion is all about acknowledging that suffering, failure, and inadequacies are part of the human condition, and that all people—yourself included—are worthy of compassion (Neff, 2003). There are three basic components of this strategy that have GOT to be cultivated in the midst of our objectifying culture and self-objectifying tendencies: 1. Self-Kindness: Extending kindness and understanding to oneself rather than harsh judgment and self-criticism; 2. Common Humanity: Seeing one’s experiences as part of the larger female experience rather than seeing them as separating and isolating; and 3. Mindfulness: Holding one’s painful thoughts and feelings in balanced awareness rather than letting them define or overwhelm you. This strategy lifted me out of the sudden fog of anxiety that accompanied my reaction to the bad photo of myself. I remembered that everyone has had that experience. And it’s just a photo. And my self-objectifying panic slowly started to become more ridiculous. I asked myself, “What is the WORST that could happen because of this?” And my answers were ridiculous: “Someone could see me and think I looked fat and ugly.” That’s about as bad as it got. And guess what? That’s THEIR problem, not yours. And it doesn’t mean ANYTHING in real life. You can demonstrate these aspects of self-compassion by journaling and sharing your experiences with other women who undoubtedly deal with the same objectifying experiences you do. You are not alone in your disruptive experiences. Promise. Don’t be scared. Feminism isn’t quite as evil as you may have been led to believe. As Amelia Richards has observed, “body image may be the pivotal third wave issue—the common struggle that mobilizes the current feminist generation” (1998). Whether or not you consider yourself a feminist, you may agree with much of what feminism is all about. Feminist perspectives celebrate diversity among women, provide ways to interpret the objectification of the female body, unite instead of divide women, and give us strategies for resisting oppressive ideals. My early introduction to body image research and activism can be summed up with this: “Feminism appears to be a life raft in the sea of media imagery” for women (Rubin et. al. 2004). You can read more about why feminism became my life raft here. Research shows us awesome connections between feminist beliefs and body image. ** In these studies, feminist beliefs are those that reject ideas of women’s bodies as objects constantly in need of fixing. Women who had feminist beliefs experienced less shame and body dissatisfaction than women who didn’t subscribe to feminism. Feminism provides women with an alternative way to interpret objectification, and offers specific strategies to resist these ideologies on a personal and societal level. One of the most important feminist strategies is maintaining a critical awareness using media literacy to resist cultural messages about women’s bodies. 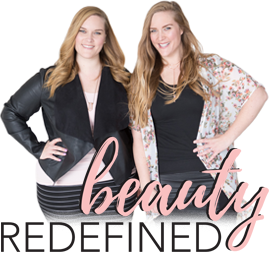 Women need coping strategies as a buffer against self-objectification, such as decreasing self-evaluative statements (“I look fat today”), substituting self-affirming statements (“I am capable of much more than looking hot”), and cognitive reframing of objectification (“that company wants me to feel bad so I’ll buy their product!”). When women learn to value their bodies for what they can do rather than what they look like, they improve their body image and gain a more powerful sense of control. Ideas of “feminist embodiment” that have been pinpointed in research include using our bodies to dance, play, move, and be outside the confines of being looked at. As early as grade school, research shows that girls’ activities and thoughts are more frequently disrupted than boys, and those interruptions are often related to weight and appearance. Experts suggest we can resist self-objectification by participating in non-aesthetically-focused sports (like competitive team sports) and other kinds of physical activity. Finally, STEP AWAY FROM THE MIRRORS while exercising. Research shows people who work out in front of mirrors can’t perform as well because they are consciously and subconsciously wrapped up in how they look instead of what they can do. So challenge yourself to be active – run a race, try out a new Zumba class, and prove to yourself that your body is powerful and useful for more than looking good. Plus, we need to set and achieve goals outside of appearance – raise your GPA, volunteer, put yourself out there. 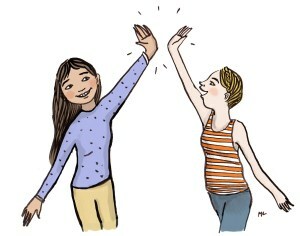 Feelings of empowerment come from achievements and they add to your sense of control. 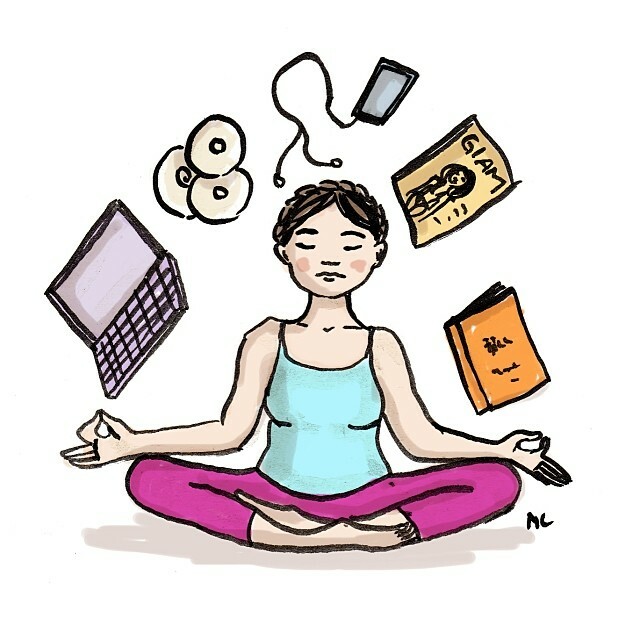 Placing higher priority on how we feel and what we do is key to shutting down body shame. Spirituality is well documented as a key to resilience. Richardson (2002) says being able to flourish in the face of disruptions requires increased energy to grow, and resiliency theory states the source of that energy is a spiritual source or innate resilience (p. 313). Resilience has been called “our innate capacity for well-being” (HeavyRunner & Morris, 1997, p. 2). Many participants in our PhD studies cited some form of spirituality as a positive force that led them out of hard times relating to their bodies, whether through religious worship, meditation, or acknowledging the guidance of a higher power. When women are able to place their lives and experiences in the context of a bigger picture — one where they aren’t defined by their appearance alone — those body-related concerns lose power and shame is lessened. If you can say a prayer, read scripture, meditate, attend a worship service, or any other way to tap into your spirituality, you can access power to put body-related disruptions into a more holistic perspective. The second you feel shame – the specific shame YOU feel that compels you to hide a part of you or fix yourself to meet an ideal – the disruption has begun. This shame can no longer be a normal, everyday part of your life you cope with. You’ve named it. You can’t be comfortable with it any longer. It’s time to grow from it. Start that growth process by focusing on self-compassion, considering your own (or learning about) feminist beliefs, using your body as an instrument, and tapping into a spiritual source of power to remind you that you are more than just a body and you are not alone. 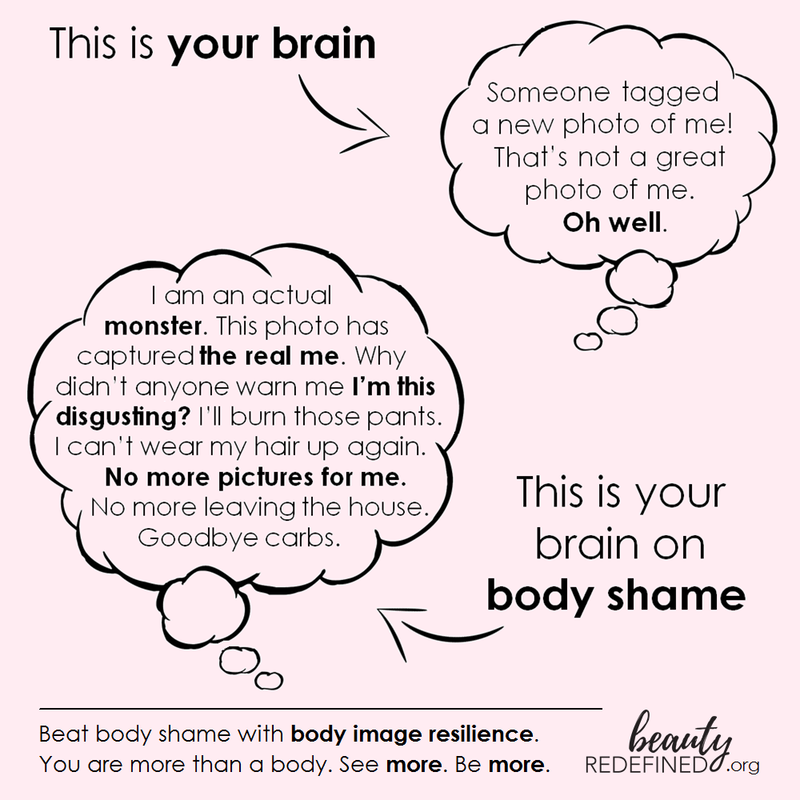 Without these strategies, the experience of being so unexpectedly shaken by that less-than-ideal photo of myself could have led directly to awful options my “brain on body shame” came up with. But, as inconsequential as the experience might seem, I was able to use it as a disruption that prompted me to come up with better plans, like turning to Lexie for a pep-talk (twin bonding!) and writing this post. Painful disruptions don’t need to drag us down deeper into the pit of shame and self-objectification! *Werner, E.E. and Smith, R.S. (1982). Vulnerable but Invincible: A Longitudinal Study of Resilient Children and Youth. New York: McGraw-Hill. This post was originally posted in August 2013 and updated again in May 2017.